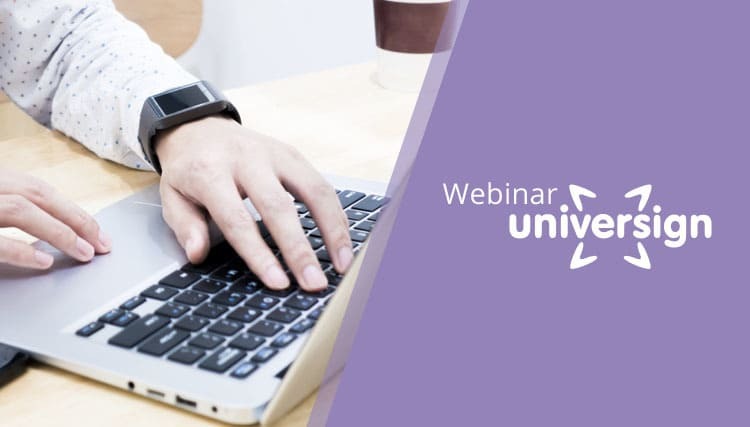 Universign is organizing a webinar on Thursday, October 13, 2016 at 11:00 AM on the following theme : “How to improve the customer experience thanks to the electronic signature”. In a context where digital transformation and the uberization of the economy have profoundly changed approaches to customers, the customer experience is certainly a key element in building customer loyalty and differentiating from the competition in order to maintain a highly volatile customer base. Customers expect innovative and personalized services that make everyday life easier. Subscribe to our webinar and discover how the electronic signature can give you a concrete answer to improve the customer experience while speeding up your sales cycles, increasing customer conversion and securing your exchanges. Benefit quickly from productivity gains at all levels ! – What does the new European eIDAS regulation, in force since July 2016, say ? – What needs the electronic signature to meet ? What are the different cases of use ? – What legal value for contracts signed electronically ? How to guarantee the identity of the signatories ? – How to implement an electronic signature solution in a multichannel approach ? – Ask all our questions about the electronic signature and its many uses. Once you have completed your registration, you will receive a confirmation email from the Webikeo platform, with which we realize this Webinar.